What I object to the current government intervention in so-called ‘solving the crisis’, they haven’t solved anything. They’ve just postponed it. If you print money like in Zimbabwe… the purchasing power of money goes down, and the standards of living go down, and eventually, you have a civil war. 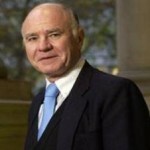 Marc Faber is a Swiss investor. Faber is publisher of the Gloom Boom & Doom Report newsletter and is the director of Marc Faber Ltd which acts as an investment advisor and fund manager. Faber also serves as director, advisor and shareholder of a number of investment funds that focus on emerging and frontier markets, including Leopard Capital’s Leopard Cambodia Fund and Asia Frontier Capital Ltd.'s AFC Asia Frontier Fund.